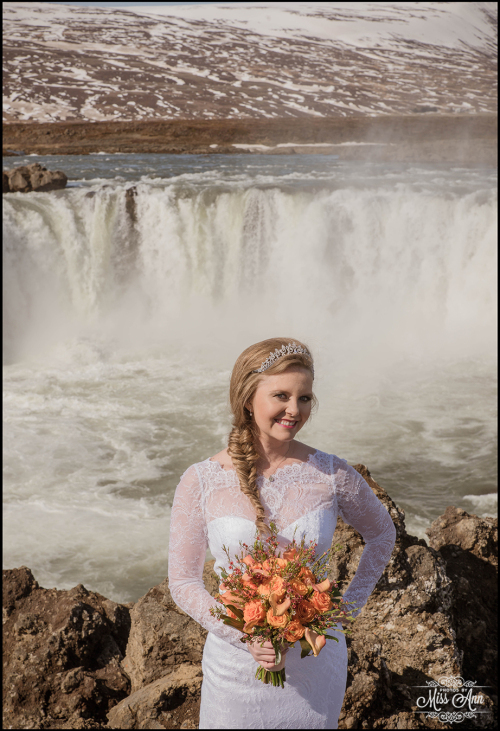 12 Months…..52 Weeks……365 Days…..525,600 minutes, have passed since Miranda and Pete stood atop Godafoss Waterfall, in Northern Iceland. 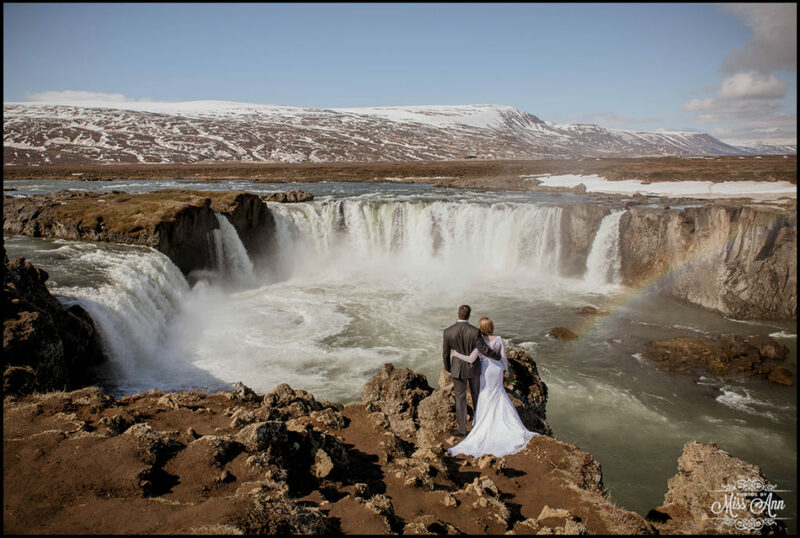 During that moment in time, they declared their endless love and admiration to each other. 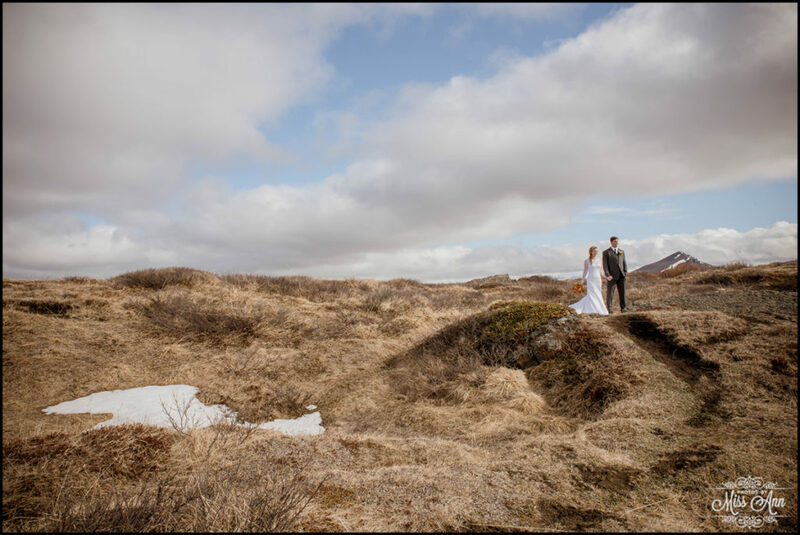 It was a marvelous and magical blue sky day! 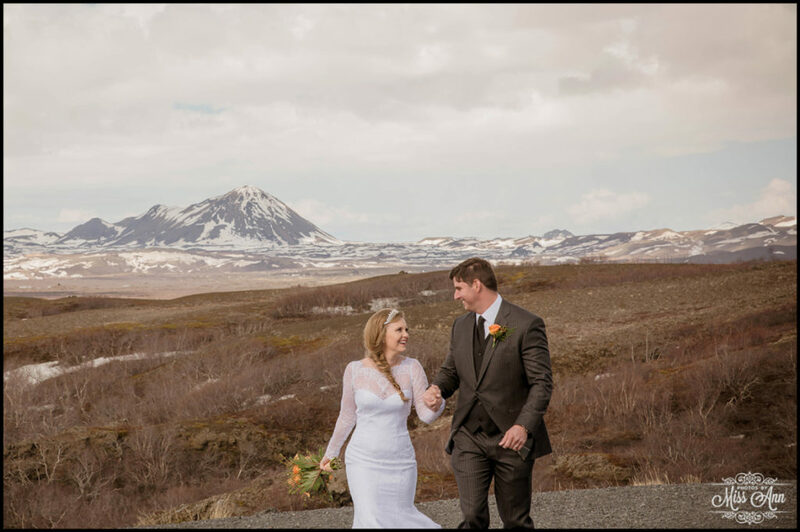 I mean LOOK at that Iceland Elopement VIEW below? 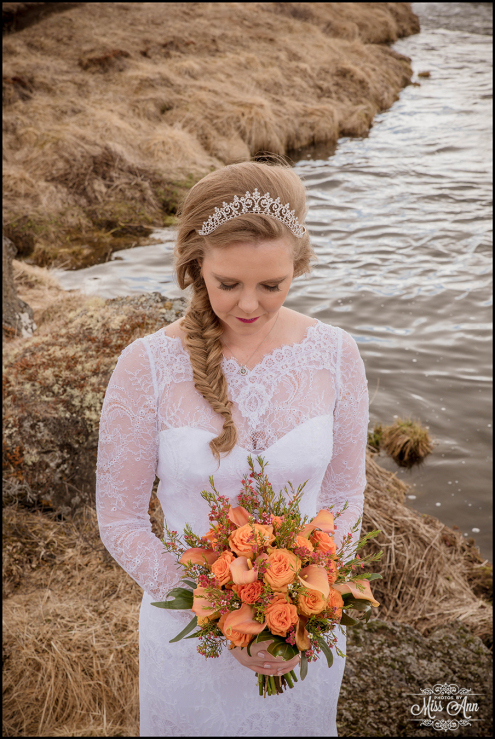 Hello – Did I walk into a fairy tale? 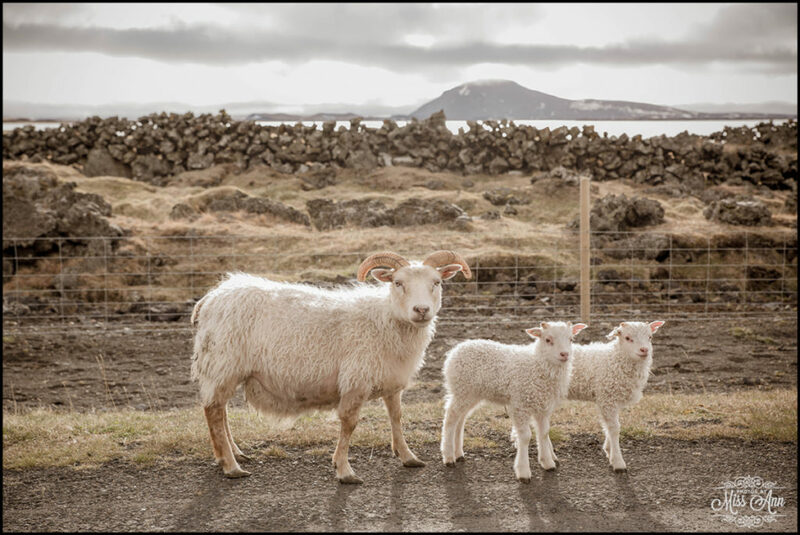 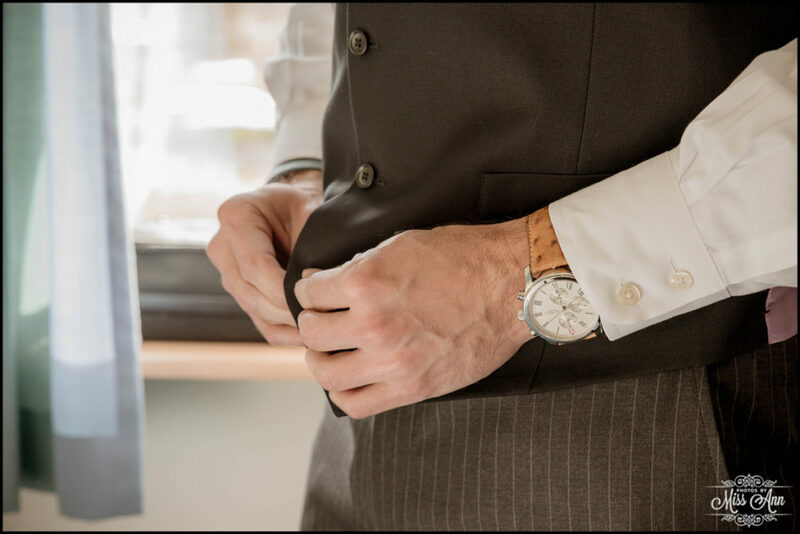 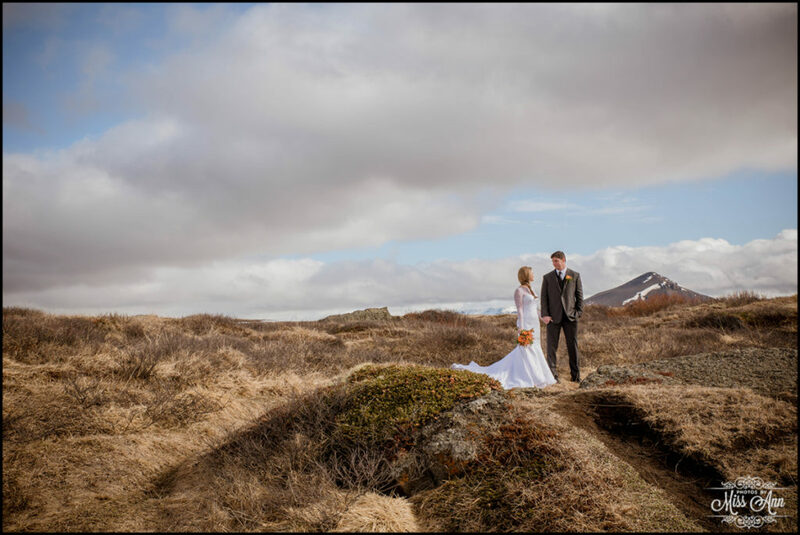 Do you remember their gorgeous Icelandic elopement was featured by the amazing Smitten Magazine? 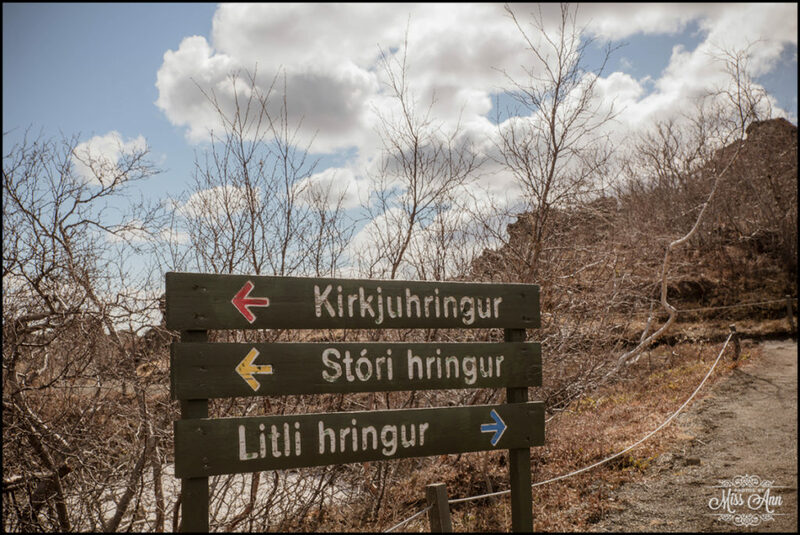 Go back HERE to relive and explore! 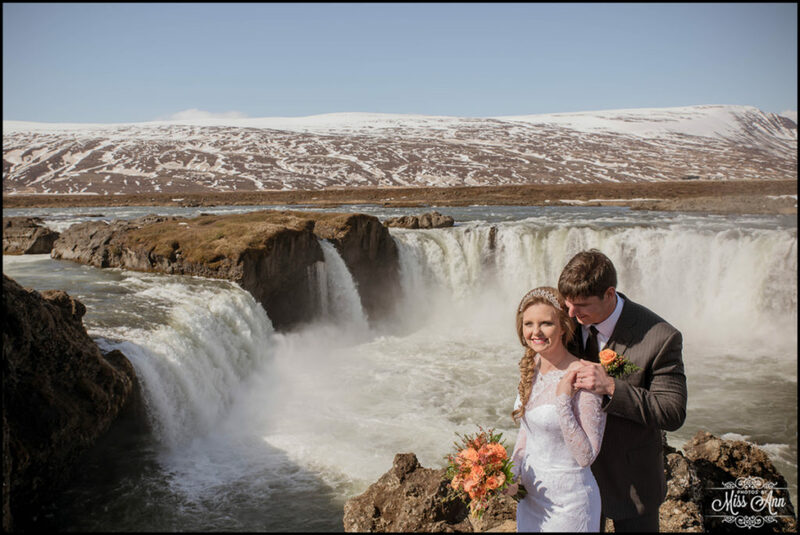 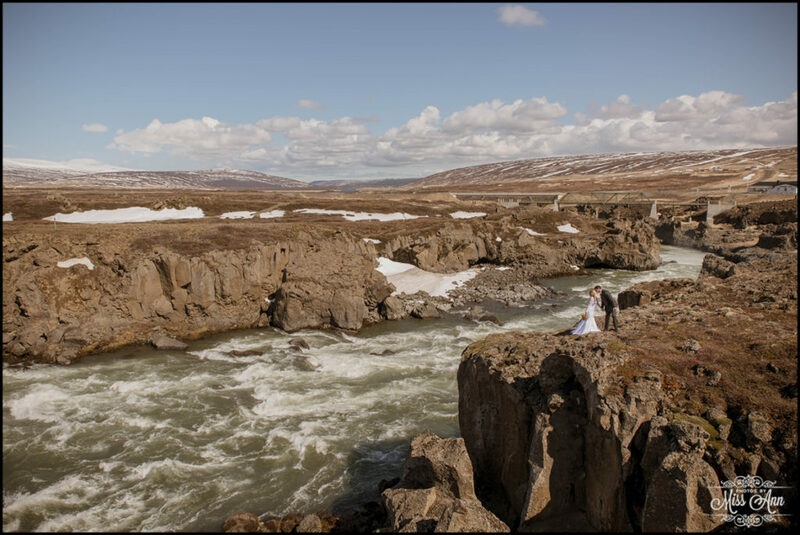 Very few people are brave enough to choose Northern Iceland as their Iceland wedding location but more should! 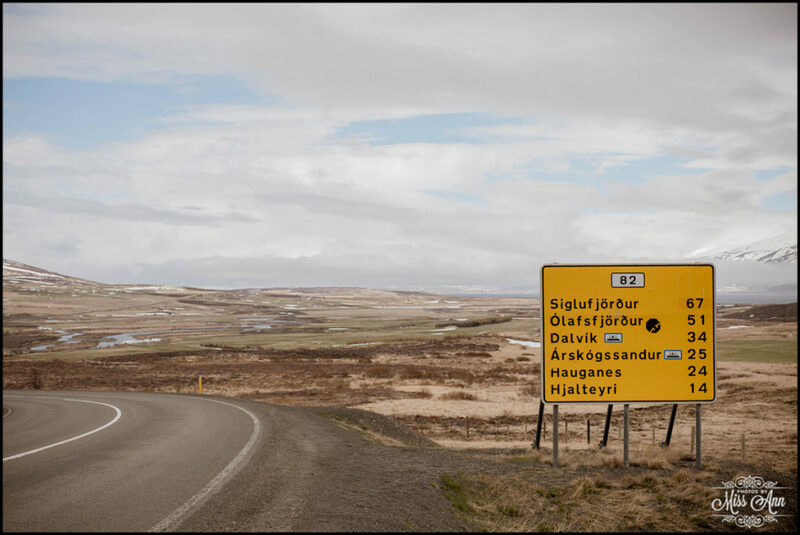 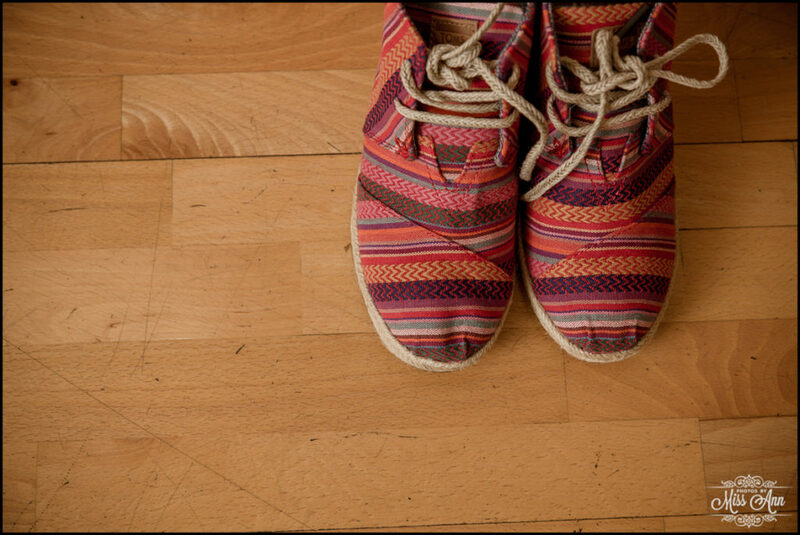 More often than not, it’s a hidden offbeat gem people do not typically venture to. 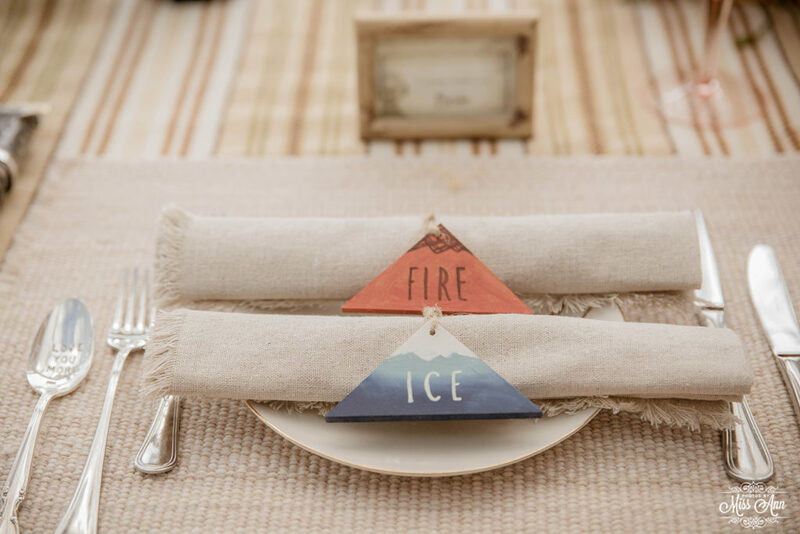 The area literally breathes fire and ice just as Miranda and Pete’s Iceland wedding reception for two! 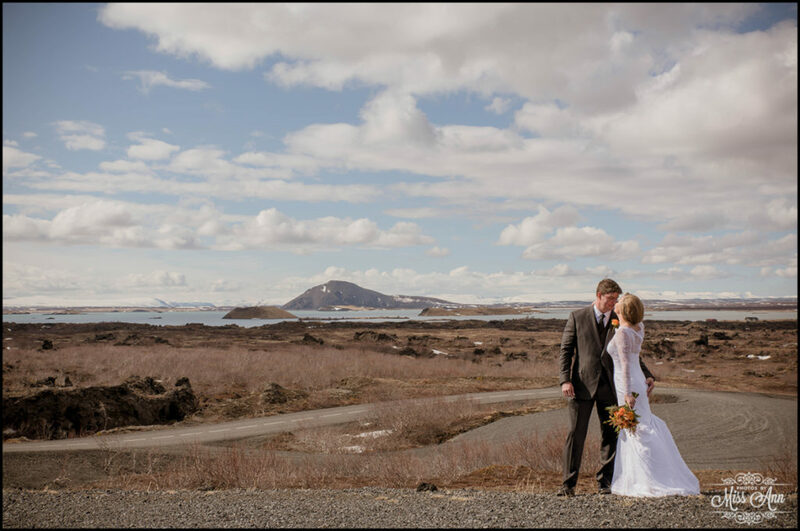 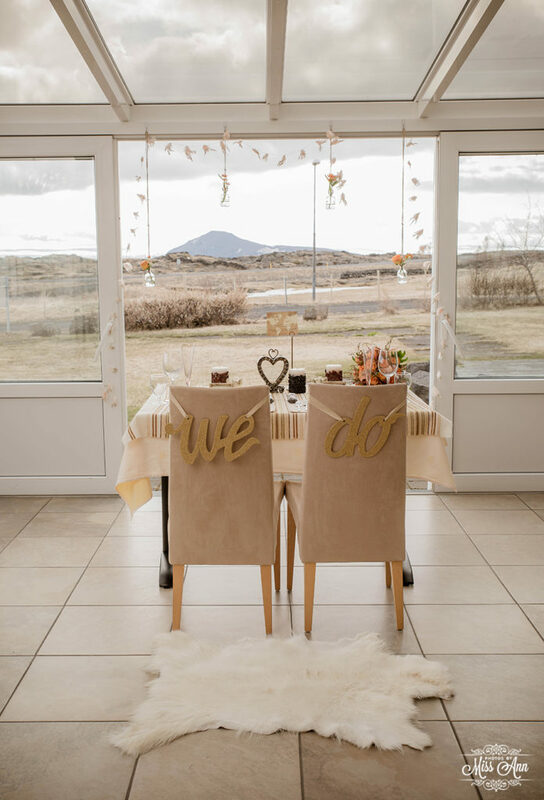 M+P: Happy first Iceland wedding anniversary! 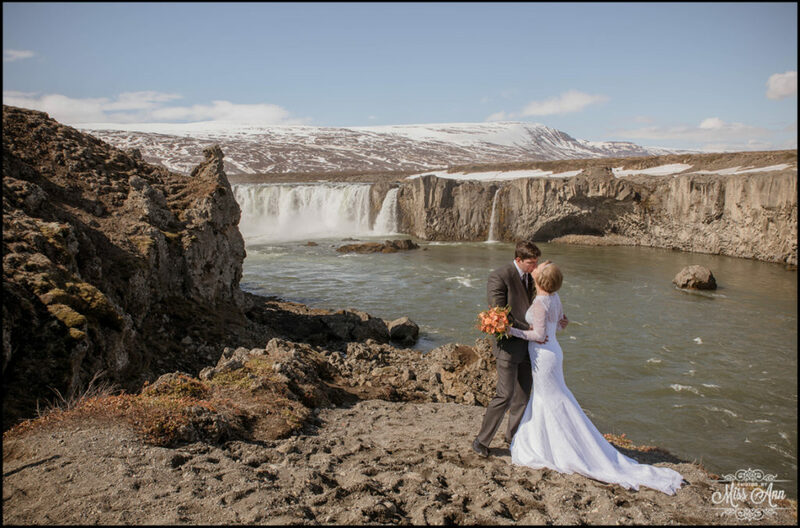 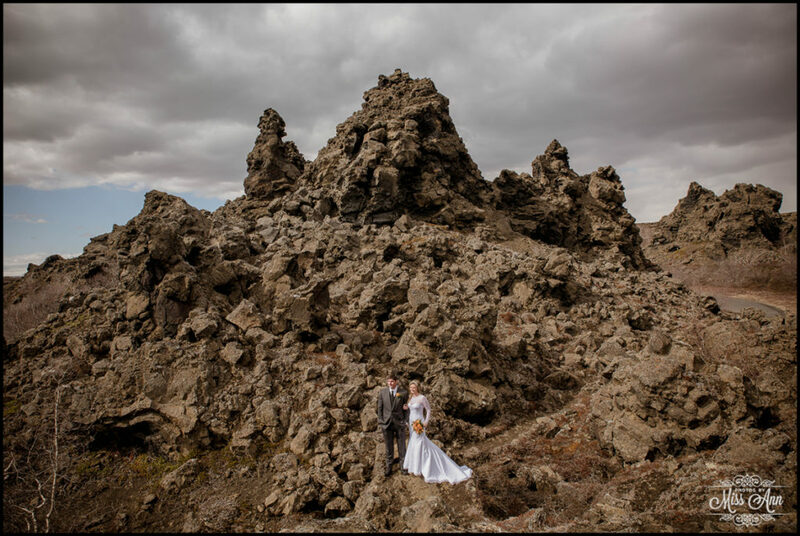 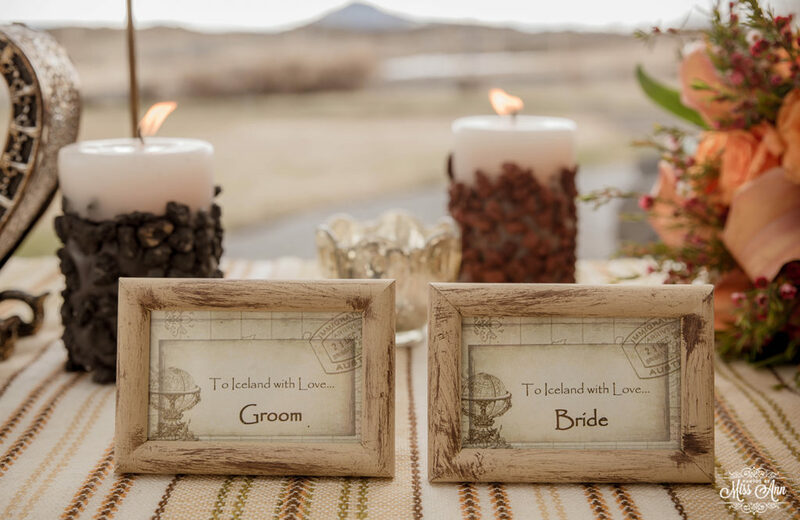 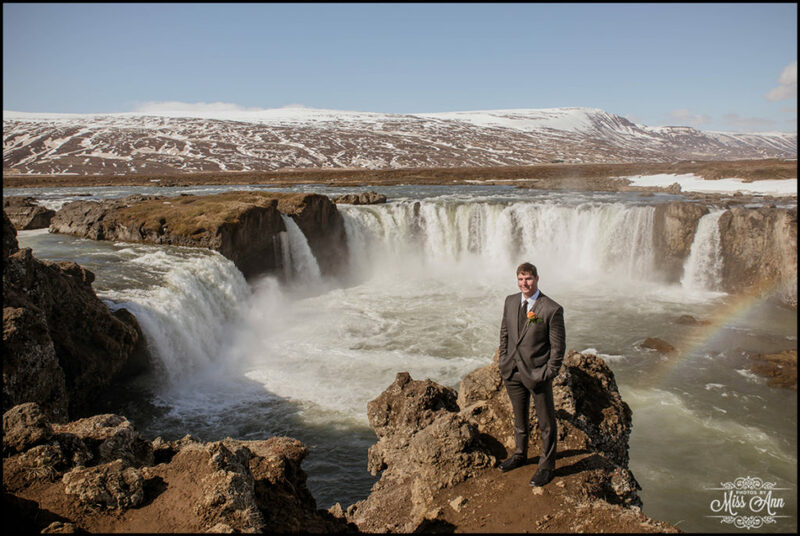 Your wedding day in Iceland was EPIC, just in case you forgot! 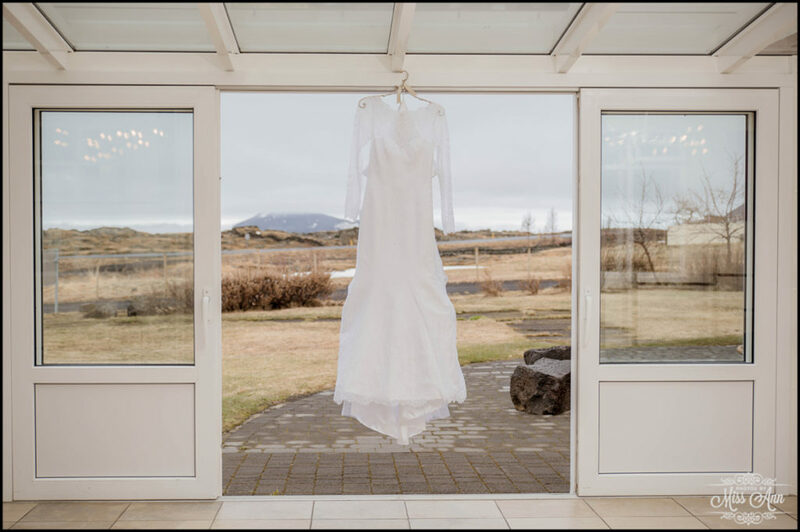 I know Iceland pulls at you like it does me =) so I do not need to invite you back, because I’m pretty sure each year you’ll be “called” back here in your hearts! 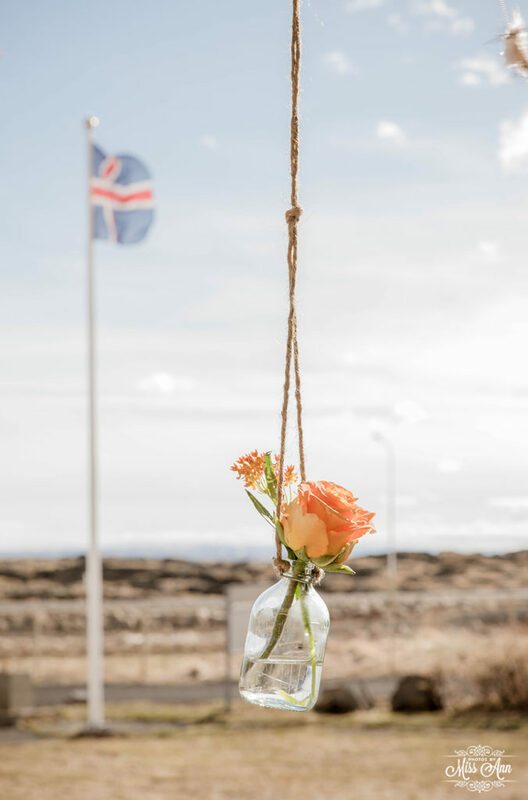 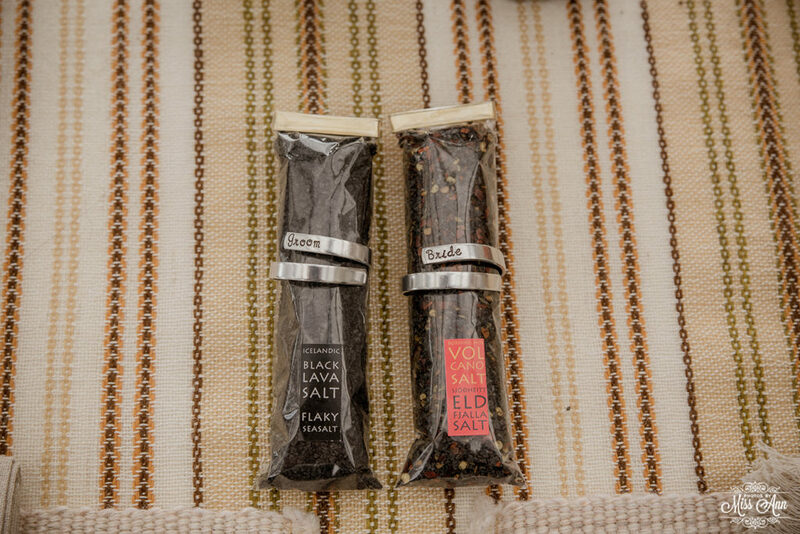 Savor today, and I wish you endless more!